Coming soon from Partner Programme member Aerosoft, the detailed and scenic Rhine Valley Railway between Freiburg and Basel! Envisaged as an important route throughout the south of Germany and into Switzerland, the Rhine Valley Railway was funded in the late 1830s. The Baden State Railway knew they wanted to build a line between Mannheim and Basel, making it a straight as possible to keep both journey times and construction costs at a minimum, all while serving as many major cities as possible. 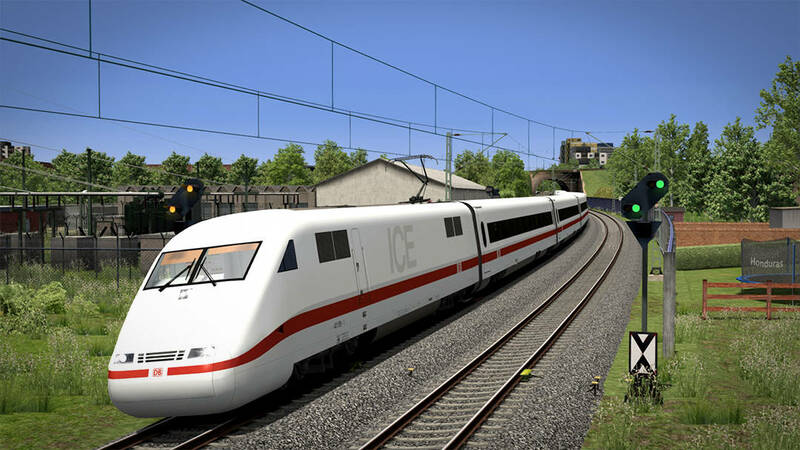 The route from Aerosoft is set around 2013/14 and covers the 60 km section between Freiburg (Germany) and Basel (Switzerland), including the newly built high speed line, taking the route to over 80 km of expertly crafted railway which will be yours to explore. Combine that with 2 locomotives, the DB BR 111 and 189, plus the addition of the ICE 1, you will soon have a package unlike any other, so keep an eye out for more on the Rhine Valley: Freiburg – Basel route, coming soon!